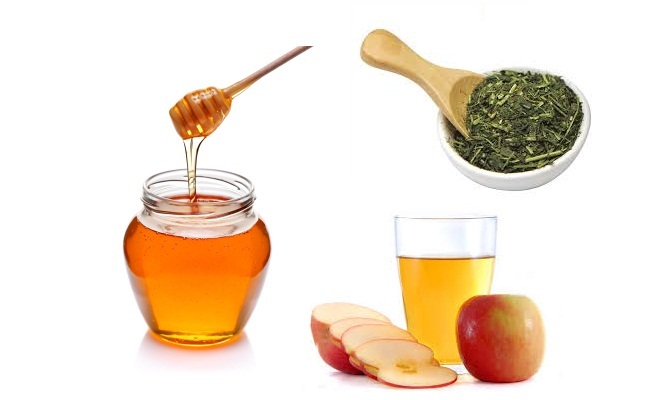 Try out these highly recommended DIY face pack recipes this Spring for a rejuvenating skin! Whether a special event is round the corner or you just want your skin looking its finest every day, face masks are an easy and enjoyable way to treat your skin to all kinds of nourishing benefits. Now that the cold is on its way out, a-mask-a-day should be your mantra for Spring and awesome skin will be yours in no time. There is actually no need to scour your local beauty store and spend your life savings on a bunch of high-end products to achieve a flawless complexion. Contrary to what people believe, the secret to great skin is as close as your kitchen! 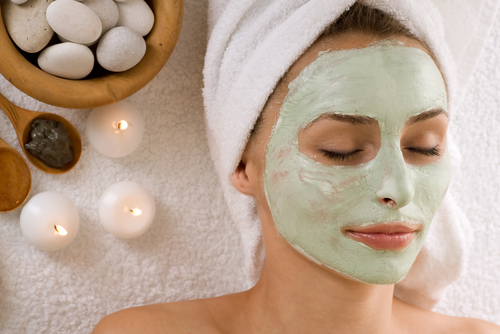 Pamper yourself with these simple, homemade facial masks.. These a few must try DIY face mask recipes for Spring. 1. Apple cider vinegar pack: This no-fuss mask is the best for battling breakouts and improving the appearance of acne scars and pigmentation. Simply combine a teaspoon of apple cider vinegar, two teaspoons of cooled green tea, a teaspoon of organic honey and 4 teaspoons of organic (or brown) sugar till it achieves a mild scrub-like texture. Spread the mask over your face, massaging it in with fingertips. Leave on for about 15 minutes and rinse off with tepid water. For best results, use this pack twice a week for at least two months. 2. Chocolate mask: If you can resist not eating it, this mask will do you a whole lot of good. Combine 1/2 cup cocoa powder, 1/4 cup honey, 2 tablespoons of organic oats and 4 tablespoons of fresh milk cream into a bowl and stir mixture well to form a thick consistency. Apply a thin layer to your face and leave it for 10 minutes. Bask in the delicious smell, and then rinse with warm water. Boasting a plethora of anti-aging properties, this mask will greatly help the production of collagen. Since this could leave your skin a little greasy – but in a good moisturized way, best to use this mask at night time, before bed. 3. Milk powder mask: Those with sensitive skin prone to sun damage, can enjoy a fancy spa facial at home. 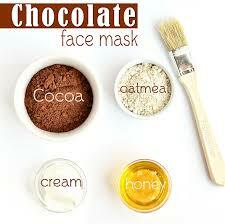 Make a mask by mixing 1/4 cup powdered milk with enough water to form a thick paste. Thoroughly coat your face with the mixture, let dry completely, then rinse with warm water. Your face will feel fresh and rejuvenated. 5. 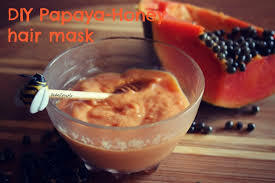 Papaya antioxidant mask: This mask is ideal to add brightness to aging or mature skin. Papaya is rich in antioxidants, and its enzymes help to slough away old, dry skin cells for a glowing, healthy complexion. Puree half a papaya (or about 100 grams) in a food processor or blender until just mashed evenly, and then blend in 1/2 a teaspoon of honey and 1/4 teaspoon of lemon juice. Spread over your face, avoiding your eyes, and let it sit for 10-15 minutes. Wipe or rinse your face clean, and prepare for a slew of compliments! 6. 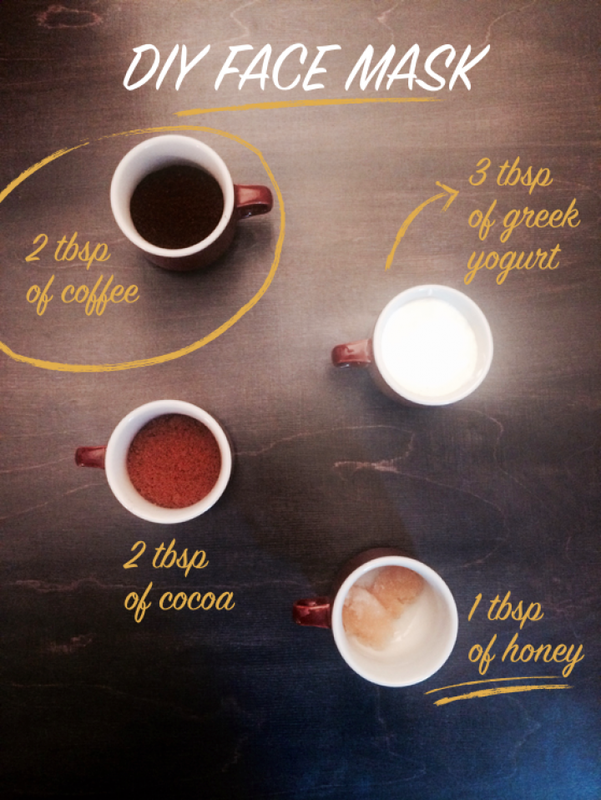 Coffee-cocoa detoxifier: Blend 2 tablespoons each of freshly ground coffee and fresh cocoa powder with a tablespoon of honey with 3 tablespoons of yogurt (for oily skin) or sour cream (for dry skin). Spread evenly over skin and allow to sit for about 10 minutes. Before rinsing, massage with damp fingertips to exfoliate. Rinse with warm water. The caffeine from coffee grounds in this cocoa-licious mask helps to reduce swelling and puffiness, while the antioxidants in the cocoa help to reduce aging, and the yogurt or sour cream replenish lost moisture. This can also be used as a scrub for the backs of your arms and any other body part that could do with some smoothing. 7. Carrot-buttermilk mask: The Vitamin A-laden carrot has amazing carotenoids that purify the skin and buttermilk whitens and brightens. Simply mix two tablespoons each of carrot juice and buttermilk. Add a teaspoon of milk powder to reduce the runny consistency (and also naturally moisten the skin). Spread the mixture over cleansed face and sit back for 20 minutes. Remove by rinsing with lukewarm water and pat your face dry with a soft towel. 8. Pumpkin face pack to reduce scars and blemishes: This easy DIY pumpkin face pack helps to brighten your skin, fade acne scars and also helps with anti aging. Pumpkins are loaded with Vitamin C which help brighten your skin, fade acne scars, protect from damage and helps with anti aging. (PS: eating pumpkin actually also helps boost skin elasticity and improve skin tone! ) 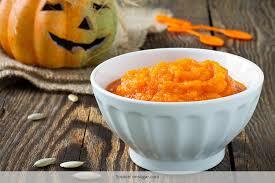 Pumpkin is also packed with antioxidants like Carotenoids that help protect your skin from free radicals. Even more, pumpkin has tons of minerals like Potassium, copper, magnesium, manganese, and iron, even more! Jam packed with B vitamins like niacin, riboflavin, B6 and folate, which all help skin cell turn over and renewal. Honey has Vitamin C which help nourish and brighten the skin, Vitamin B1 and B2 to protect skin from damage, B3 and B6 to help with inflammation, hydrates and nourishes the skin. Egg whites help tighten your skin which helps with anti aging, there’s also astringent in the egg whites which help draw oils from your pores helping with shrinking large pores and blackheads. 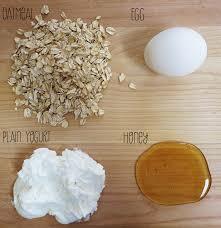 Also the protein in the egg whites helps replenish and nourish our skin! Cinnamon helps dry out and treat acne, reduce inflammation, exfoliates and helps promote circulation in the skin. If you have dry skin I recommend using very little or excluding this ingredient. Take two tablespoons of ripe pumpkin pulp and mix in a tablespoon of honey, 2 tablespoons of egg whites and a teaspoon of cinnamon powder. Apply a nice generous and even layer to your face (make sure you apply the mask on a clean face !) Leave it on for about 20 minutes. Rinse with warm water ( do not use face wash or you’ll just wash off all the goodness).Voila! Done. Brighter, smoother and healthier looking skin! 9. Marigold face-brightening mask: We saved the best for the last! What is spring without the flowers! And among all the flowers that bloom around you, the humble marigold is your skin’s best instant brightener. The orange yellow make an excellent face pack for instant glow on the face and to make the complexion brighter. This marigold flower face pack is also awesome to reverse signs of aging, if used regularly – almost daily for a month. Take 2-3 marigold flowers and crush them with some milk. 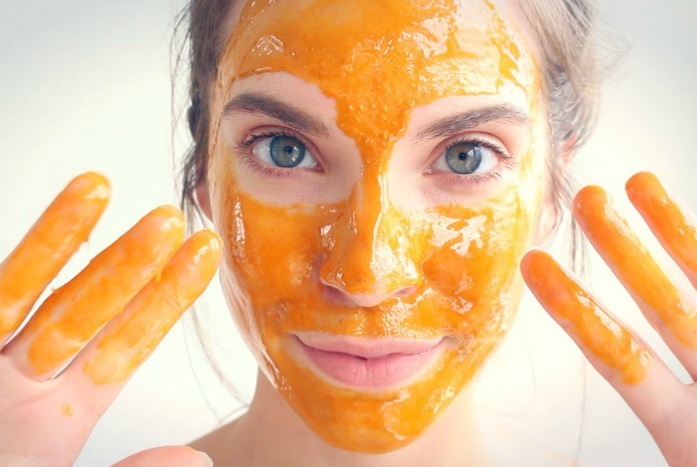 Once you get a paste add a pinch of turmeric powder and apply on the face. You can also add some yoghurt for oily skin or milk cream for dry skin. Apply the face pack in an even layer and wash after 20 minutes.